Centred around conversation with a trained therapist, cognitive behavioural therapy (CBT) approaches to treatment involve standard and universally accepted techniques to help patients deal with depression and anxiety. In regularly scheduled CBT psychotherapy sessions, the patient talks about their thoughts and feelings surrounding a troubling aspect of their lives – typically related to a previously diagnosed mental disorder. The patient and therapist then discuss the emotions and thought processes that are leading to the patient’s unwanted behaviour, focusing on each problem in turn and deciding on actions to address them. The therapist draws on a wealth of psychotherapeutic strategies to suggest specific changes in the patient’s thinking and habits. When acted upon, these strategies act as coping mechanisms, allowing the patient to reach their personal goals and improve their inner well-being. By taking a strictly social approach, CBT avoids the complexities surrounding medication, in favour of directly empowering the patient to take control of their own situation. The patient’s new, healthier behaviours and thought patterns act to help reduce the intensity of their symptoms, breaking them free from anxiety and depression. CBT can also be used to successfully combat phobias, eating disorders, substance abuse (including smoking addiction), behavioural addictions, post-traumatic stress disorder (PTSD) and borderline personality disorder. It is often applied in combination with other forms of treatment. CBT targets cognitive distortions, a category of error in thought that includes the tendency to over-generalise situations, focus on negative ideas and events, and fail to appreciate positive outcomes. Through talk-based therapy at The Dawn, CBT teaches our clients to embrace a more realistic and balanced worldview, which in turn eases strain on emotions and stress levels. The effect is achieved through empathy-based conversation, with our therapist offering practical suggestions for diverting thought patterns away from the direction of pessimism and distress. As each client learns to activate this strategy of mental re-orientation, they find that a more mindful and open worldview can have significant positive effects on their day-to-day life. CBT at The Dawn generally involves a set of scheduled weekly therapy sessions of 30 to 60 minutes each. The process begins with a psychological assessment by the therapist, who uses conversation to understand the difficulties faced by the patient. From there, our therapist suggests ways to re-conceptualise the sources of anxiety or depression that are affecting client, by putting them into a proper and more positive context. The client learns a set of skills that can keep their thoughts and feelings on a healthier track, easing the inner burden caused by stress and anxiety. Our therapist and client practise these skills together, so that they can be applied more easily to a wider set of circumstances. Subsequent meetings give the patient further opportunity to refine their new skills, discuss areas of progress and difficulty, and continue to reinforce the lessons about positive and manageable thinking habits. The success of CBT in reversing negative thought cycles has inspired several variants which are also effective for the symptoms and conditions they address. Trauma-focused cognitive behavioural therapy (TF-CBT) is a special form of CBT that focuses on patients dealing with the fallout from their own traumatic experiences. We incorporate mindfulness meditation with standard cognitive methods to provide a consciousness-based avenue of therapy for those seeking relief from conditions such as depression and addiction. Our Self-Management and Recovery Training (SMART Recovery) uses elements of CBT in a group setting, to promote self-empowerment through open discussion aided by a facilitator. SMART Recovery is aimed at assisting those struggling with addictive behaviour. More positive outlook regarding yourself and the surrounding environment. The positive progress made through CBT at The Dawn can be extended far into the future, through a continuation of the tools and techniques practised in the therapy sessions. Study after study has shown that CBT approaches to treatment are effective at helping patients overcome depression, anxiety and other forms of mental disorder. The consistently positive results shown by this form of therapy help explain why CBT training is mandatory for psychiatry residents. CBT is often considered to be the psychosocial treatment of choice for patients with relevant mental health issues. 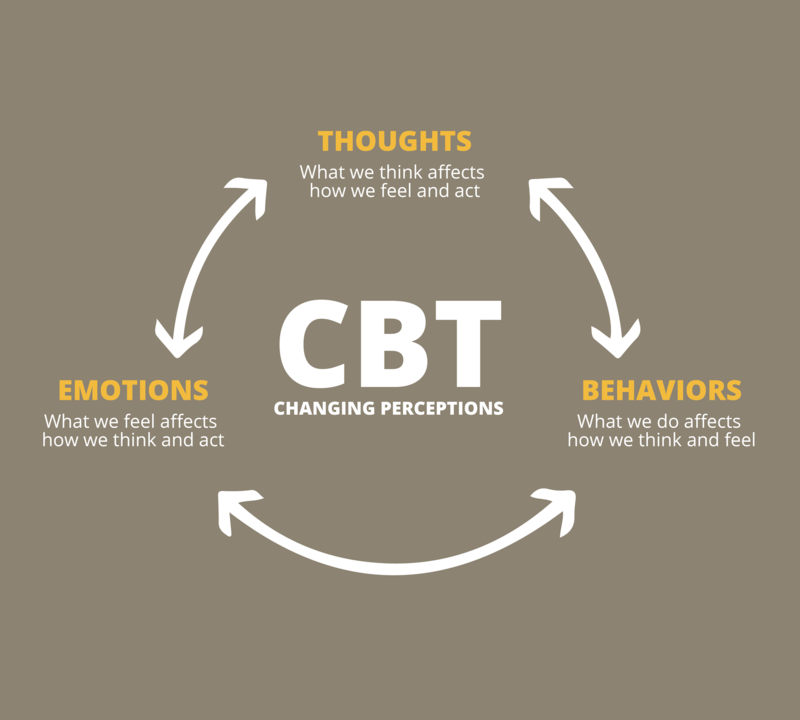 Its ability to reshape thought patterns in a more positive way, through skills and coping mechanisms that can be learned and applied long into the future, makes CBT a desirable method for achieving mental health progress. As the CBT healing method is not based in physical or chemical treatment, side effects are not an issue. Our clients simply learn a new skill set and a healthier mode of thought, allowing for greater control in how they experience the world. CBT approaches to treatment are a specialty at The Dawn, either alone or in combination with medication or other types of treatment. Our general wellness programme also includes yoga and meditation, spa and massage therapy, a wholesome diet, and many more activities to soothe the body and mind. Our aim is to deliver holistic treatment, avoiding a compartmentalised approach in favour of focusing on the client’s entire experience of well-being. Our therapists and caregivers offer complete support throughout the recovery process, relying on extensive experience and compassion. Clients at The Dawn receive full personalised care in a comfortable setting, thanks to our impressive 1:1 staff-to-client ratio. If you or a loved one suffer from depression, anxiety or other mental health concerns, contact The Dawn today.